"Although this book is primarily aimed at adults, it is full to brimming with easy to understand diagrams, illustrations and infographics that will spark the imagination of anybody that picks it up, young or old"
"The graphics really are the standout feature here, helping to illustrate complex ideas in a simple and understandable way." 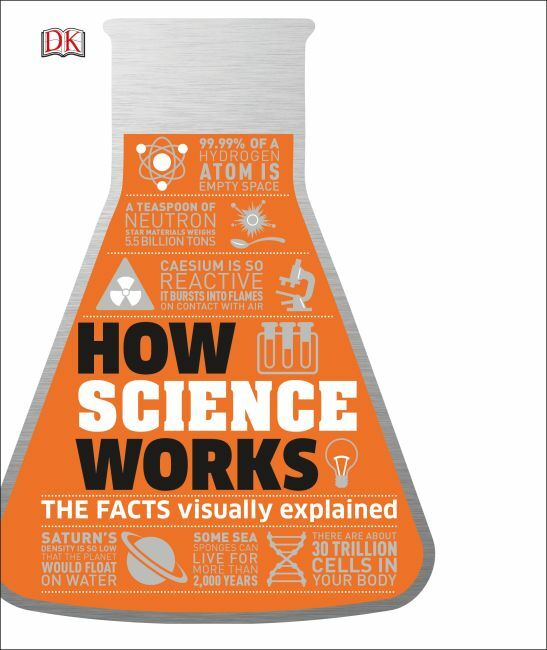 How Science Works uses clear, easy-to-understand graphics to answer common questions and explain difficult concepts-not only the core science topics that eluded us at school, but also the cutting-edge science reported in the news. Have you ever wondered how airplanes stay in the air, how holograms are made, or how ants lift things many times their size? You'll find answers to these enigmas as well as learn about more complex developments, including the discovery of the Higgs boson, gravitational waves, and the mysteries of dark matter. Topic spreads include Q&A features, short-story sections, and simple graphics to answer all your questions about scientific principles, from familiar conundrums to mysteries that evade even the brightest minds.